Every now and then you experience something that changes you. Maybe all at once; maybe over time. There is something about studying abroad that opens your eyes more rapidly and in more ways than anything else can. Since landing in Shanghai this past March I have met amazing people, seen spectacular places, and above all discovered more about myself than ever before. And for that I am truly grateful. If you've been following this blog over the past four months, I hope above anything you can take away the importance of travel. Whether it is to a neighboring town or a foreign country, take some time to explore places you've never been before. Allow yourself to relish in the beauty of a new destination, and lose yourself in it. I will forever miss these past few months in China, but I am ready to use this experience to take on a new chapter in my life. 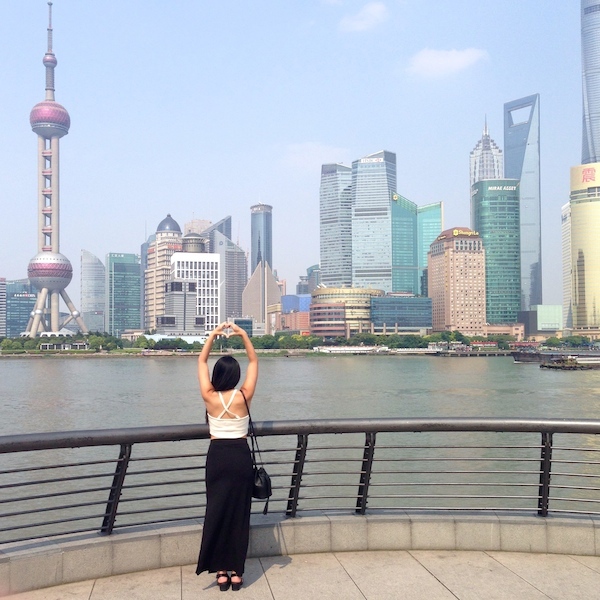 Thank you, Shanghai, for shaping me into the person I am right now. It was one hell of a ride. That quote by Pico Iyer is incredibly beautiful, it stopped me for a moment or two before I could remember I was reading a blog post. "We travel, in essence, to become young fools again." How stunning words can be. 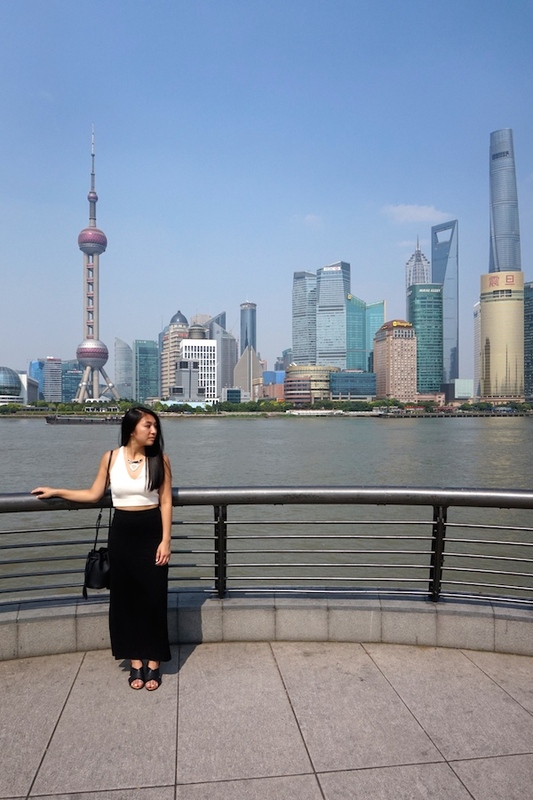 Shanghai definitely sounds like it has impacted you greatly, Christina, and I can see its impact through the posts you have been writing these past few months. While I'm just another person sitting behind a desk, soaking in words that are ultimately pixels on a screen, it's been such great fun for me, too, to explore China through your wonderfully written posts and photos! Looking at your post and photos for the past few months, it looks like you had a wonderful time and a beautiful place to visit. Great post! You look amazing in the dress! Amazing pictures and post. I agree with you, traveling is so important in one's life. These photos are amazing! I'm really loving the outfit, especially the skirt with the slit. I lived in Shabghai, I have exactly the same feeling as you it's an amazing city! I learned a lot and discovered so many things I wouldn't find anywhere else! Just by looking at your photos makes me so nostalgic, I miss this city so much! Hope you had an amazing trip around China! 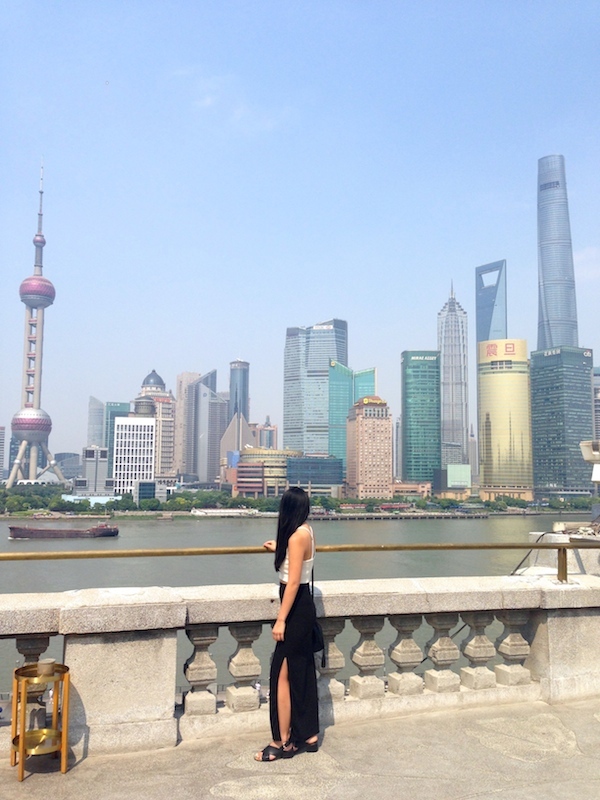 I absolutely loved Shanghai!! I am dying to go back already! I hope you're having an amazing time! aaahhh beautifully said.. there is much to be said about exploration!! doesn't matter what age you are and at what point in your life you are, travelling is always a great opportunity to learn and discover things about yourself and your surroundings! I swear I'm more motivated now than ever to get up and go places I've never been. Hopefully eventually I'll land a job that permits lots of travel. Thank you for sharing all these pictures with us Christina! Cute shoots darling! Your look is so stunning!! Amazing photos <3 I love your black skirt! Gorgeous shots! Hope you had fun!